Our dry brut is a blend of hand-pressed heirloom apples aged in French oak barrels that features the scent of fresh apples, a touch of oak, and finishes crisp and tart. 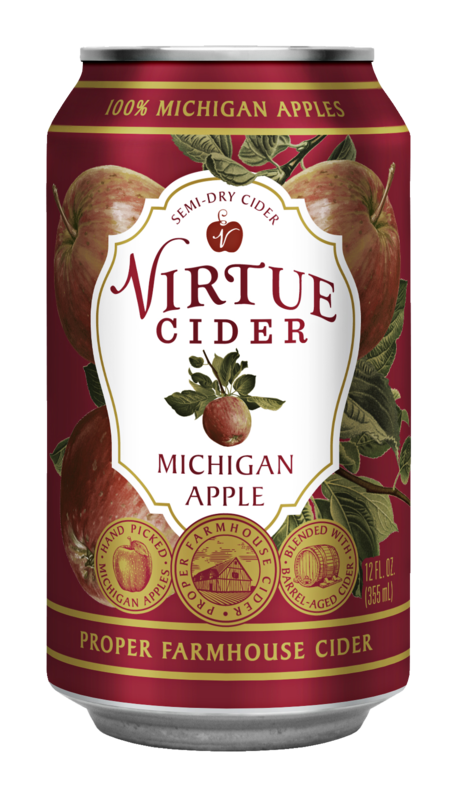 ABV: 6.7% Michigan, like all great apples regions, is on a coast. The maritime climate provides generous rainfall for the local orchards. We use all sorts of Michigan apples grown on local family farms. The blend of these heirloom apples creates a complexity of flavor that is impossible to achieve with just a few varieties. Michigan Brut bears the scent of crisp apple and citrus notes with a bit of yeast. Clean and crisp up front, it follows with a tart, dry, lightly oaky lingering finish. The scent of ripe apples invites you to the glass. Layered notes from the orchard and the French oak barrel bring you to the place and process where cider is made. Try pairing with roast pork or a rich raclette to bring to bring you there completely.